So, the story continues. To showcase the jam nicely, I baked some earl grey scones. Back when I was living in Dubai, my good friend from the UK taught me how to make proper English style scones. She did not enjoy cooking very much at that time but one thing I knew, she made some killer fruit scones. I thought I wrote the recipe down on my little secret notebook but I guess I did not. Last week, I dug all my old notes but could not find the recipe and she was busy traveling for work. Then I found a random unopened earl grey teabag in my notebook. Wow, I haven't opened that notebook for so many years. I didn't even know it was there! Okay, I am digging for a scone recipe and earl grey tea just turns up. Am I meant to switch the way?? Anyway, that is how I decided to go with the earl grey scone of all scones. Haha long story. Fragrant and citrusy earl grey tea is my absolute favorite. Even though I put plenty of earl grey tea leaves in the scone, it's still very subtle. If I add bergamot oil, I am sure it will give more power to the earl grey note but I like the subtle hint of earl grey in this scone. I wish I could find clotted cream around here. There are quite a few gourmet shops around here but I still haven't found clotted cream. It would have been just perfect. If anyone knows where I can find them, please let me know! 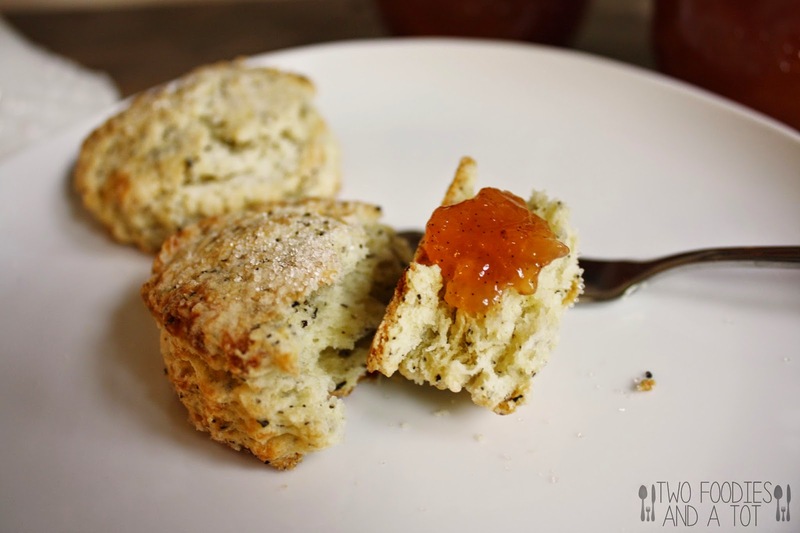 Scones without clotted cream is just not the same. 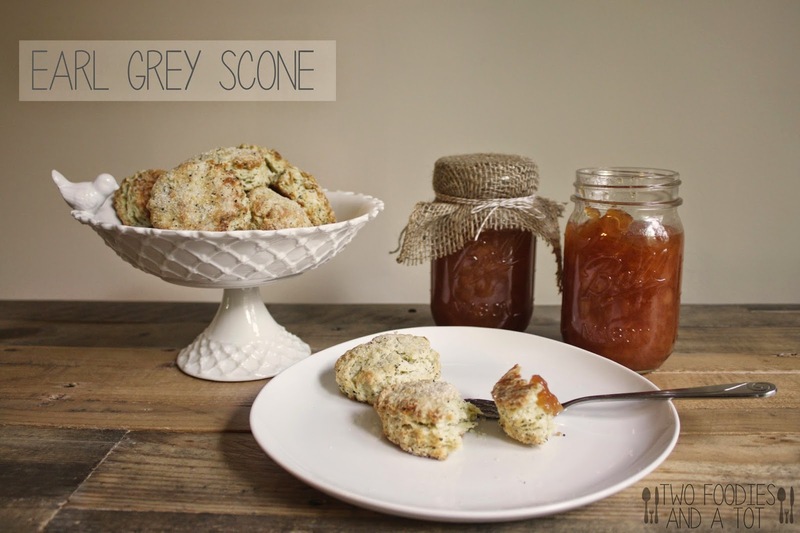 A few days ago, my friend gave me the scone recipe again and now I can make them again! One of these days when I get some clotted cream in my hands, I will be dancing in the kitchen and making my friend's fruit scone. 1. Preheat the oven to 400F. In a large bowl, mix all the dry ingredients. 2. Grate the frozen butter with large holes on a box grater and add to dry ingredients. Rub the mixture with hand until it resembles coarse meal. 3. In a small bowl, whisk together Greek yogurt and the egg. Using a fork, mix it in with dry ingredients. Mix until clumpy. 5. 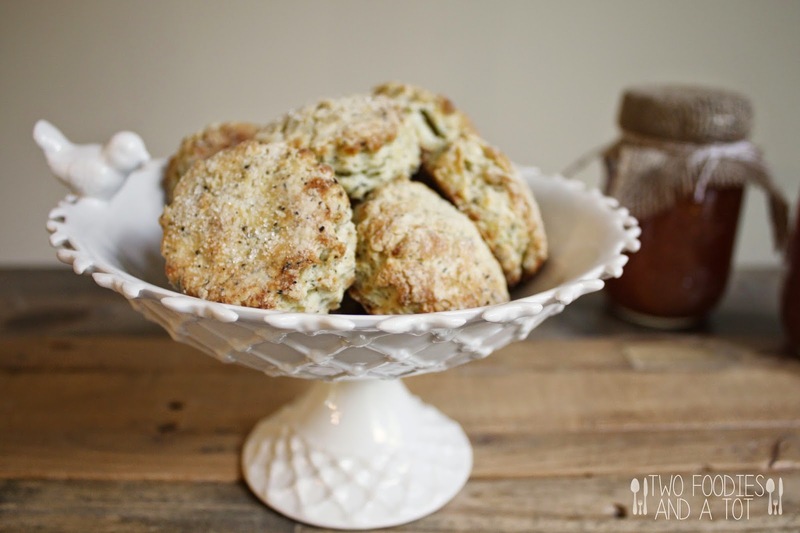 Put them on a baking pan and sprinkle 1 Tbsp sugar on top of scones if desired. Bake for 15-17 minutes. Cool for 5 minutes and serve.